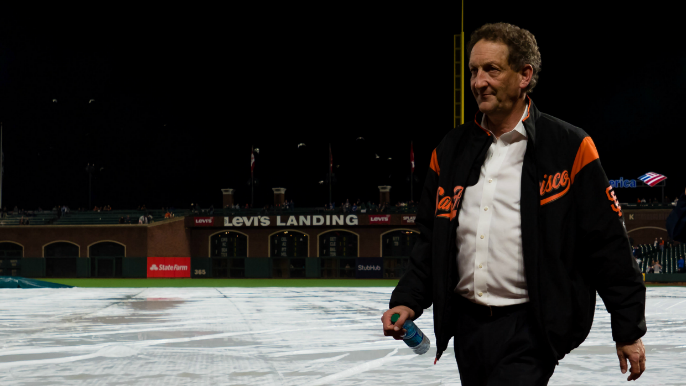 The San Francisco District Attorney will not press charges against Giants CEO Larry Baer, for a physical altercation with his wife, Pam, that was caught on video, according to Evan Sernoffsky of the San Francisco Chronicle. “After a careful review of the relevant evidence, including multiple videos, statements from several witnesses and the parties themselves, the evidence does not support filing criminal charges,” district attorney’s office spokesman Alex Bastian told The Chronicle. On Monday, San Francisco Mayor London Breed advocated for Baer to receive some type of punishment. Baer has been an executive with the Giants organization since 1992.